The first solo exhibition in a New York museum of Argentinian artist Julio Le Parc celebrates the artist's extraordinary gift to The Met of twenty-four works, and also marks the occasion of the artist's ninetieth birthday. 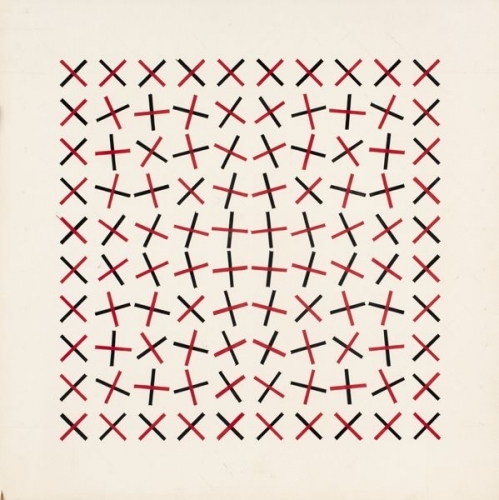 Featuring over fifty works, Julio Le Parc 1959 presents a substantial, never-before-seen selection of gouaches from one of the most prolific and transformative years in the artist's career. Born in Mendoza, Argentina, in 1928, Le Parc studied under Lucio Fontana during the 1940s and engaged with abstract avant-garde movements in Buenos Aires. In 1958, Le Parc moved to Paris, where his encounter with Op artists, such as Victor Vasarely, had an important influence on his art. The series of gouaches Le Parc started that year—intimate yet methodical studies of form and color—illuminates his interest in developing geometric abstraction by incorporating movement through variations, sequences, and progressions. This work anticipates his founding role in Kinetic art during the 1960s, when he made paintings and sculptures with movable parts by incorporating mirrors, motors, and electric light. Aiming to make art more accessible and politically relevant, Le Parc also experimented with projected lights in darkened rooms, adding a sense of playfulness and encouraging viewer participation. To represent this achievement, the exhibition also includes the kinetic painting Form in Contortion over Weft (1966) and the immersive installation Continual Light Cylinder(1962/2018). The exhibition is made possible by The Daniel and Estrellita Brodsky Foundation. Additional support is provided by Tony Bechara, the Institute for Studies on Latin American Art (ISLAA), and the Latin American Art Initiative of The Metropolitan Museum of Art.